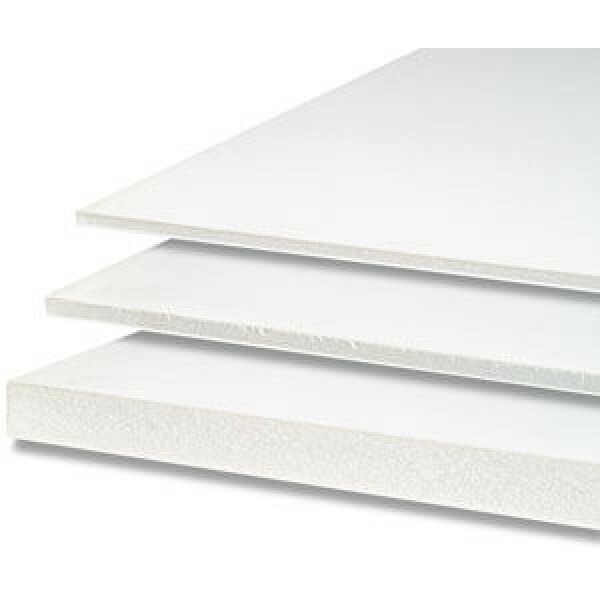 White Foamboard 10mm A3 pack of 5 sheets. Our foam board has a lightweight polystyrene core backed onto a card and paper liner and can be used for a variety of artwork uses from presentation to model making. It is used extensively in the exhibition and display industry and is suitable for short and medium term use.